Lately I have been feeling, well, blah. The weather in Michigan is not very helpful. The winter is tough to find things to do. I love crafting but doing a craft everyday can be expensive. I have been searching for new hobbies and I have come upon crocheting. I have NO clue how to crochet, I have watched a few YouTube videos, but I decided to give it a go. There are a ton of tutorials, patterns and ideas on Pinterest so I decided to create a board. 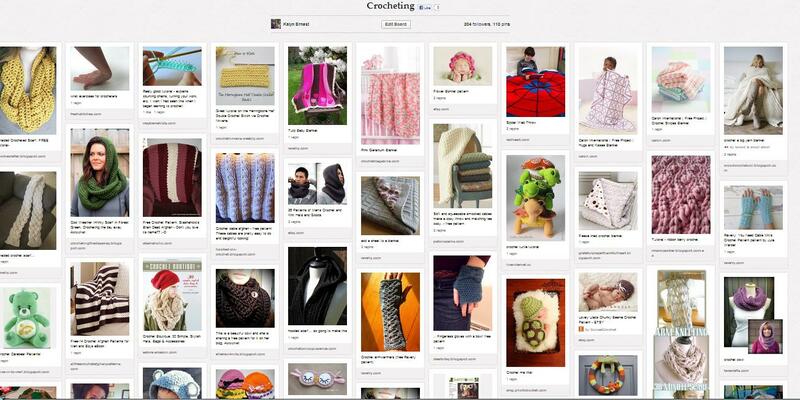 Here is my Crocheting board from Pinterest. I am assuming a blanket, or maybe a wash cloth, will be the best to start with, but some of these scarfs and hats are just too cute! Do you have any tips on how to get started? A favorite tutorial or project? Please feel free to share or link up your Pinterest board!